I am from Iran.I had a very severe TBI 1.5 years ago. I was in coma for 4 months then I opened my eyes but I do not remember at all. At first I used wheelchair. Then I walked some steps. I did some exercises but I feel exhausted. I keep doing these exercises but I am very tired and fatigue. 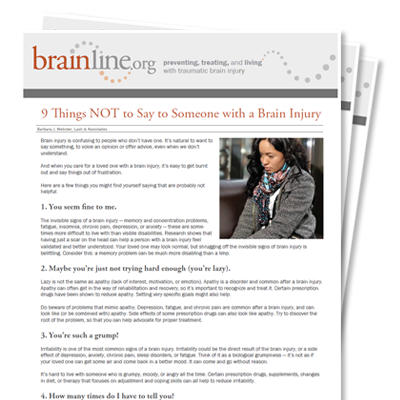 Here there is not a good knowledge about TBI.